Adult coloring books are all the rage, and there seems no end in sight! But one which has just been released by Cristal Clear Designs is the most unusual one I have ever seen.. I may be a slight bit prejudiced, but I invite you to check it out for yourself. 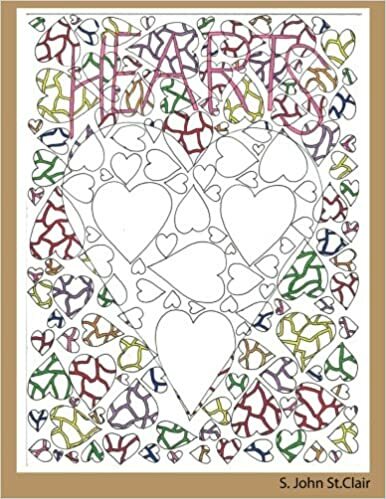 You see, the talented artist who created all of these stunning heart designs in my son, John. John has been doing brilliantly colored blacklight poster drawings for several years, and even did an album cover for the rock group Godsmack.. The book is simply called Hearts, and is now available on Amazon. It will make a great gift for all lovers of art and coloring.